If you're looking for some positive attitude tips that go beyond the 'smile and be happy' genre, you've come to the right place. Rather than just trying to become more positive, these evolutionary tips for inspired life change will get you thinking out of the box when it comes to becoming more positive in your life. What Makes Positive Attitude Tips Evolutionary? 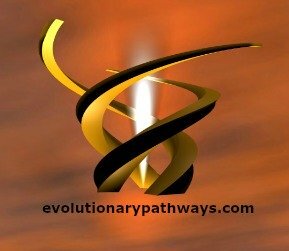 The term evolutionary within the context of this article and this site, simply means taking yourself to the next level. When it comes to evolution of a species in nature this means that a species has found ways to optimally adapt to its environment. It has found ways to survive and thrive in the face of changing circumstances. If an attitude would have been required in order for these changes to have been made, what would it be? What evolutionary attitude would allow a species to survive and thrive where others perish? The following evolutionary positive attitude tips may provide some interesting answers to experiment with in your own life. Don't Just Try to Improve - Aim to Evolve Instead! Sounds good right? But what does this positive attitude tip actually mean? Seeking to improve sets your course on a straight line. You look behind you to see where you've come from. You look at your feet to see where you're at. And you look straight ahead, into the future, to see where you're going. When it comes to cultivating a positive attitude, the straight line - the linear road - would stretch between extreme negativity on the one end, to extreme positivity at the other end. Your current position would be somewhere in between these two extremes and you'd be aiming to move towards the positive end of the road. You'd be aiming to improve your position on the negative-to-positive linear spectrum. Swinging between the two extremes of catastrophizing and self-delusional positive thinking are examples of some pitfalls that may be encountered in following the linear path. How would taking an evolutionary approach be different? Aiming to evolve you'd be looking straight up and down, instead of ahead and behind. Looking up - you'd be aiming at an entire new rung or level. Instead of aiming to take a step or two to improve, you'd take aim at a leap. Looking down - would be looking inside yourself - drawing on your very own body and mind; for solutions to find. Taking leaps from within to without, you evolve without a doubt. Motivation pushes you forward - it operates on a line. Aiming to improve takes motivation to reach your self-improvement goals. The inspiration of a personal evolution system on the other hand, is open-ended. There's no telling the next level you'll be able to find. Evolutionary positive attitude tips may be revolutionary - in that they take aim beyond incremental progress. Yet they're also fully aligned with changing your life one day at a time. Looking up and aiming high can actually make change easier, not hard. It's simply more inspiring to look beyond your own back 'yard'! When inspired you're more likely to do what it takes to adapt, survive and thrive. That's the power of evolutionary tips, they make you come alive! Pretexts are the reasons you give yourself and others for doing (or not doing) something. Context is the 'environment' in which this doing or non-doing takes place. Pretext is subjective; context is objective. Pretext is driven by emotion; while context is the background where emotion unfolds. Pretexts are your thoughts; context is your perspective - which is the 'environment' where your thoughts live. Context gives life to pretext - context is the true driver of evolution. Change the context - change the environment where a species live - and you cause them to evolve. Environmental pressures invite evolutionary change. This is as true for the internal environment of the mind, as it is for the outer environment of the body. If you want your thinking and attitude to become more positive - change the context. Change your perspective and your entire life will change right along with it. You'll evolve. Change the environment your body lives in and you'll be certain to evolve too. Exert 'environmental' pressures on the body through exercise and other mind-body disciplines. Subject yourself to positive stress (also known as eustress) by choosing or shaping environments that will build your positive attitude strong. The principle of replacing pretext with context is about 'living yourself into a new way of thinking, rather than trying to think yourself into a new way of living' as the saying goes. That's an evolutionary approach to building a strong positive attitude for life. There's little doubt that surviving and thriving is aided by a positive attitude built strong. Yet we do well to pay to consider the kind of positive attitude tips we choose to follow. Where are those positive attitude tips leading you? What path are they setting you on? Is it a linear or evolutionary pathway they're inviting you to walk?